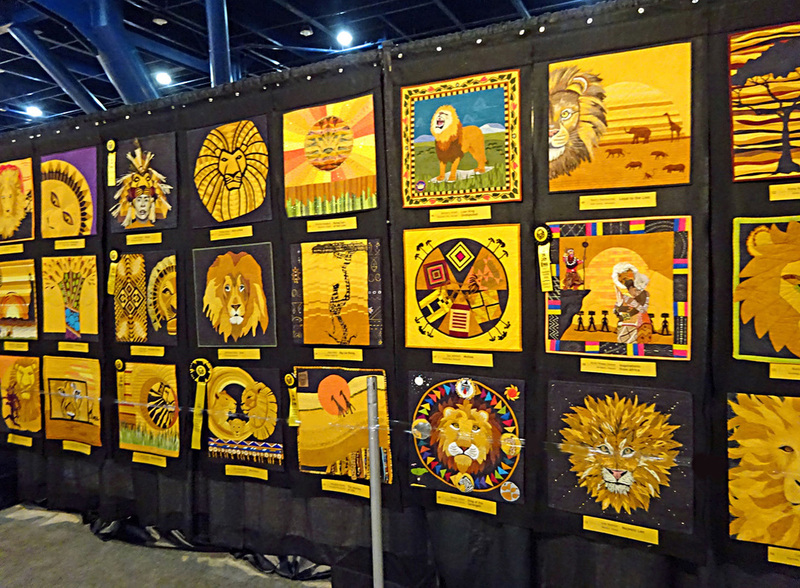 This year saw my second visit to the International Quilt Show in Houston and I was as impressed by it as I was the first time. The display of quilts is excellent, I love the space that the work is given, one can back away from the pieces to view and photograph properly, the background cloths are unobtrusive, the carpet is unremarkable. All in all, everything helps to concentrate on the work. At no time did I feel there were too many people or that I had to fight my way through, AND I was there on the first and on the last days. I know how I feel on Thursday at the Festival of Quilts in the NEC! It takes a while to get used to the way work is displayed if one is accustomed to the categories in Birmingham. There is no Contemporary, Traditional, etc. The quilts are grouped in challenges, which are sponsored by different manufacturers; this makes for an interesting mixture of styles within similar subjects. As in previous years, the winners were moved to the main corridor close to the entrance doors and either the artist or an “angel” was at hand to answer questions, show you the backs, etc. 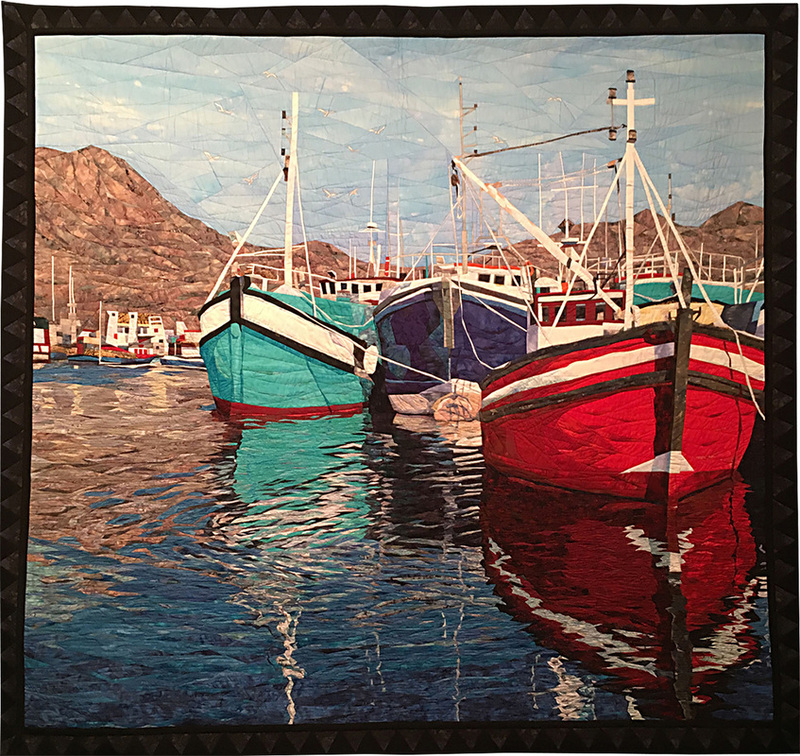 This year the “Best of Show Award” sponsored by Handi Quilter®, and with a prize of $12,500, went to Reflections of Cape Town by Cynthia England from Texas. 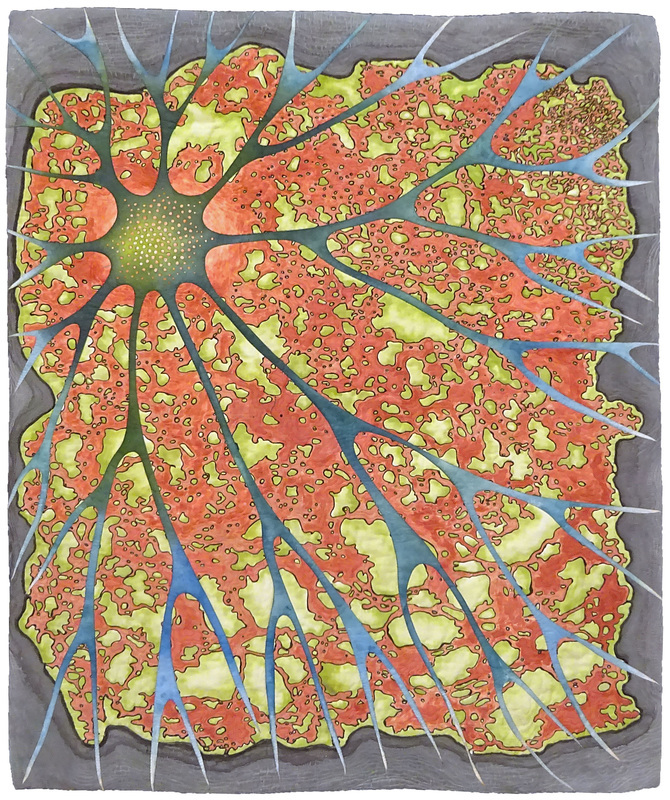 This is the third time this artist has won a first prize. ​I must admit that on my first day at the show I thought this quilt had been digitally printed and I was not too impressed, but chatting to somebody else made me realize that I had prejudged the work (always a big mistake), so I went back and found that although a photograph was used for inspiration, the quilt has 8,400 individual pieces and had taken a year to finish!! There were some very beautiful quilts amongst the winners, including a gorgeous piece, which won the Superior Threads Master Award for Thread Artistry, with a prize of $5000. 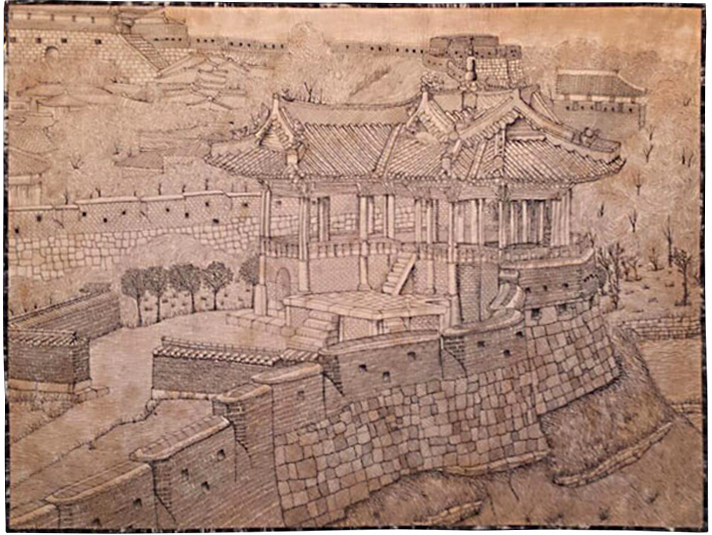 The work is called “Suwon Hwasung” and the artist is Mikyung Jang from South Korea. This quilt could be hung showing either the front or back, the stitching is so perfect. I felt there was a more balanced mixture of traditional and contemporary quilts than last time I visited (two years ago), and some interesting challenges. One of those was the Cherrywood Challenge where the company that gives its name to the challenge puts together a group of fabric colours and names the subject. This year the colours were different yellows and the theme was The Lion King. There were over 300 quilts displayed in this challenge and the effect was exhilarating. Just as a taster, here is one of the pictures I took. There were four similar displays! One of my favourite pieces was within a SAQA competition, Unconventional Challenge. This piece was made by Betty Busby from Albuquerque and was sold while we were in the show. It is a beautiful work. Another interesting challenge was the Thread Challenge, where the imagery was created with stitch. 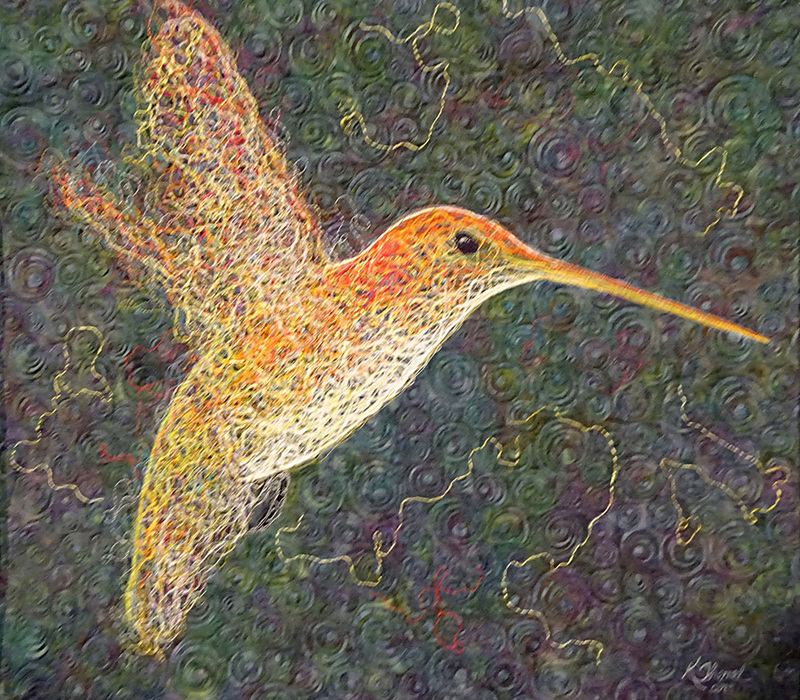 There were some beautiful pieces in this challenge, amongst them was Hummingbirds made by Kate Themel from Cheshire in Connecticut. 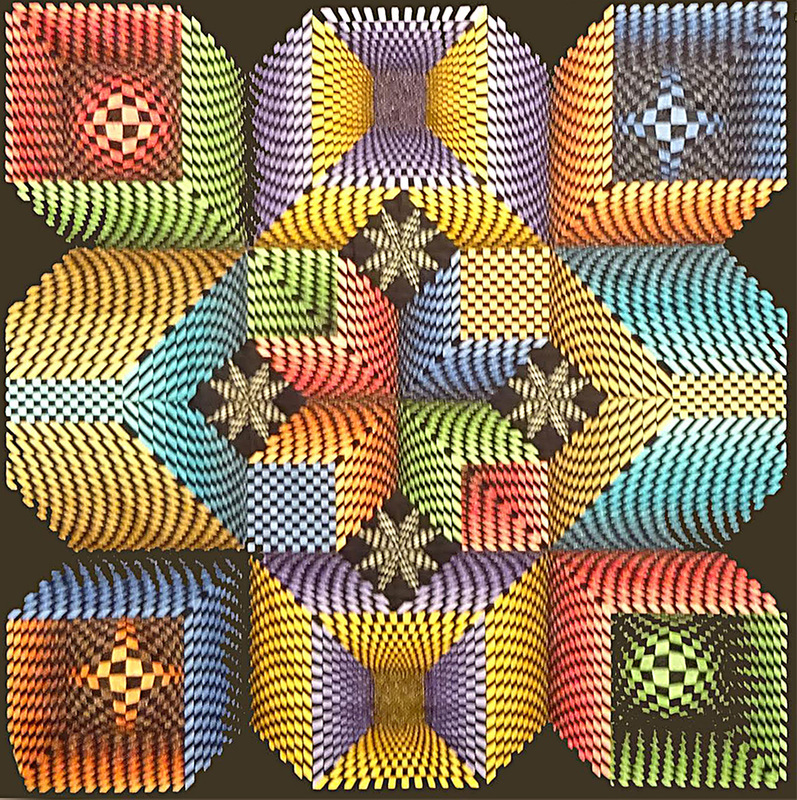 There were a few quilts I would classify under the op-art category, really exciting work which made your eyes pop! An example of this was Lone Star Explores Space by Peter Hayward from Spain. The show is a must, but Houston also offers many other things apart from quilts. The Fine Arts Museum and the Natural History Museum are well worth a visit. We also found great pleasure in visiting a small museum called the Art Car Museum, where the exhibits were extraordinary cars, including one made entirely from spoons and aptly named Spoonozoid. We also visited the BAPS Shri Swaminarayan Mandir, a “brother” of the Neasden temple in London, the Menil Collection (fabulous! ), the Rothko Chapel, and many other interesting places. 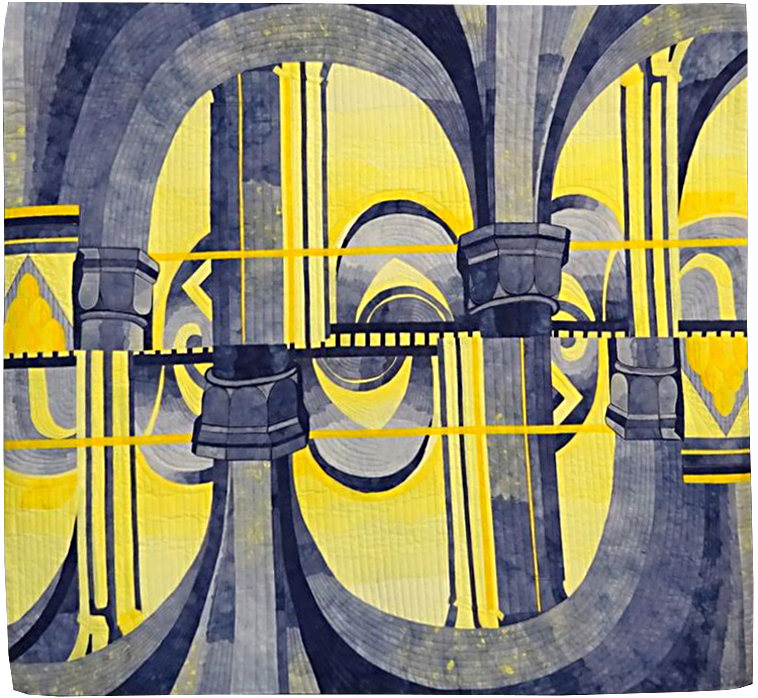 ​And, to finish, I leave you with another of my favourite quilts in the show, “Building Bridges” by Sara Sharp of Texas.